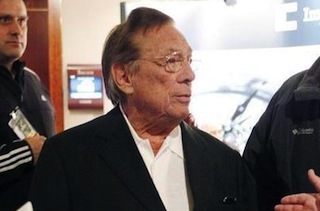 Turns Out Donald Sterling Is a Registered Republican; So What? Conservatives trying to make political hay out of Donald Sterling’s slow-motion downfall got some bad news Monday afternoon: despite having donated to several state Democrats in the early 1990s, the Los Angeles Clippers owner is a registered Republican and has been for at least 16 years. This is not to say you shouldn’t be putting Sterling’s comments into a wider political context: Alyssa Rosenberg’s piece on how Sterling relates to the broader battle for players’ rights is probably the smartest thing written about the Sterling affair so far. Her piece worked in part, though certainly not exclusively, because it refused to read the incident into the boneheaded binary of “all conservatives are backwoods racists” or “liberals are the real racists,” and instead focused on how attitudes like Sterlings’ might have shaped the power structures of professional sports (and the amateur sports that followed them). It was specific and experiential, looking at how men like Sterling affect those who worked under them, rather than abstracting into gauzy partisan narratives that dismissed the players entirely in exchange for a talking point. Trying to affix a (D) after Sterling’s name effaces the players a second time by subsuming them to a narrative that has nothing to do with them. Donald Sterling’s a racist. Isn’t that bad enough?